S-locks strap locks, black chrome Schaller proudly presents: The new S-Locks, S for save, S for silent and S for Schaller strap locks! 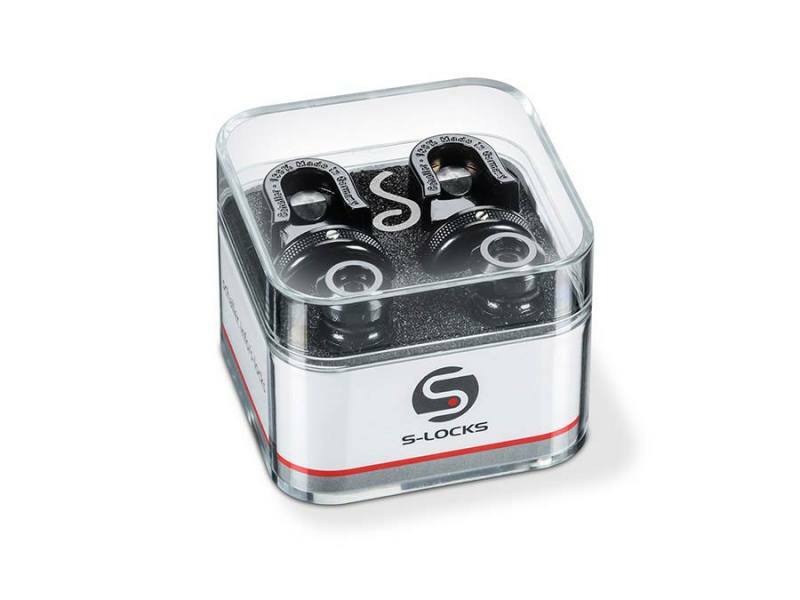 These new revolutionary S-Locks are silent. They feature an elegant Lock-Wheel, one-piece hardened steel strap buttons, aesthetic design, perfect handling and all former hiccups have been tackled! 3 pieces = 1 S-Lock - perfect! Strap button New and unique solid one-piece strap button in hardened steel with self-tapping wood thread. Simply screw it on with an Allen key (size 3 mm). - 4 mm/ 5/32“ screw with self-tapping wood thread. Fits all existing strap buttons incl. Gibson for perfect replacement without adjustments on existing holes and screws, - hardened steel and more than double thickness of the strap button guarantees maximum security against breakage, - Including high-grade felt washers for ultimate protection of guitar's finish. Lock - extended thread length for holding straps of up to 6 mm thickness, - new designed slanted locking bolt in stainless steel for permanent precision, reliable performance and wear-free finish, - new designed pull-up ball for easy-grip lock and release. Lock-Wheel New Lock-Wheel with unique 3-Step security function: - Screw our lock wheel with patented self-locking thread tool-free by hand, you already protect your guitar sufficiently (the round shaping must be facing the pull-up ball!). 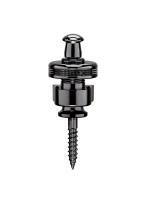 - Use a 2 mm or 5/64’’ Allen key or screwdriver to tighten it for maximum security. 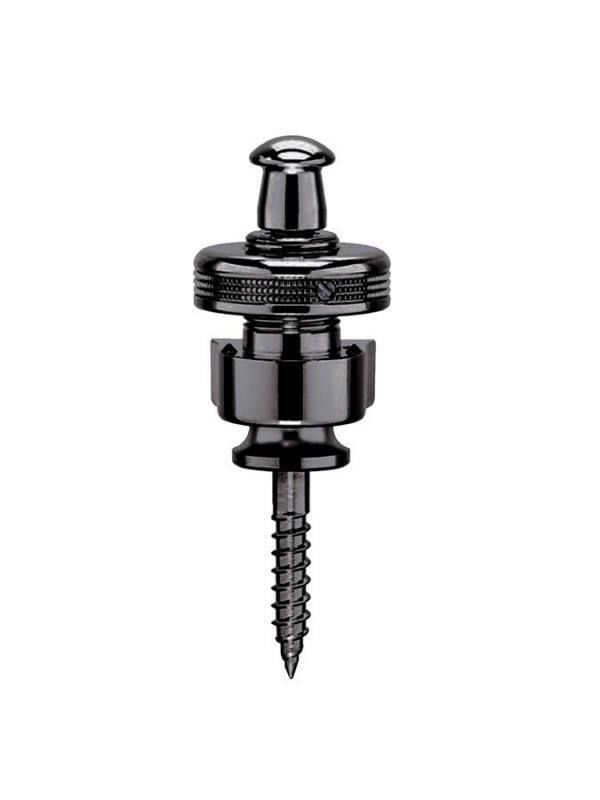 - Use our micro cone-top screw to attach it permanently. You will never lose your wheel again! Finally put all parts together and just listen carefully… Give it a shake, give it a roll and prepare to be amazed: It is silent! New silent feature for noiseless performance while moving and playing your instruments. Schaller - the Original Innovators! All S-Locks come in a new and attractive re-usable crystal box.